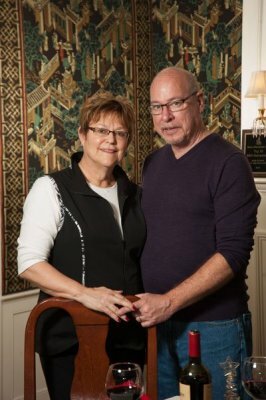 With over thirty-five years of experience in hospitality and customer service respectively, Cindy Foster and Tom LaPointe are now thrilled to combine their extensive backgrounds exclusively for Adair's patrons as the new innkeepers. Having strong roots in New Hampshire's Mount Washington Valley, this husband and wife team know the White Mountain region well and can recommend many of its wonderful, natural sites for exploring or fun recreational activities like hiking, snowshoeing, or one of their favorites - golfing! And as innkeepers, they aspire to give guests a welcoming, personal experience from the moment of arrival. Cindy's last twenty years have been spent in the lodging industry at inns and hotels from Florida to New Hampshire, many of them historic properties. She has experience in all aspects of the profession including reservations, sales and marketing, and catering (especially for group events like weddings, rehearsal dinners, and holiday parties). In the early 2000's she was the Director of Sales at the Mount Washington Hotel and worked directly for Cathy and Joel Bedor, now the new owners of the Adair Inn, developing a strong relationship that has continued for the last fifteen years. Throughout her career Cindy has also been actively involved in promoting the White Mountain region to the international tourism market. She has helped a number of inns connect with international tour operators to attract visitors to their properties, including the Adair Inn, which immediately captivated her with its elegance and relaxed, picturesque setting. When the Bedors purchased Adair in 2015 and offered Cindy the chance to be their innkeeper, she knew this was the opportunity she had been preparing for her entire career. 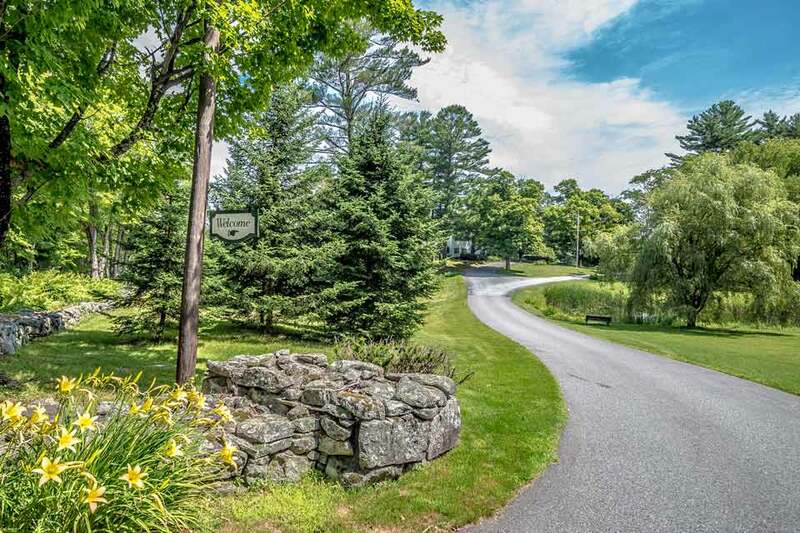 As innkeeper at such a charming and prestigious (but not pretentious) New Hampshire country retreat, she would be able to take full advantage of her accumulated years of experience in the hospitality field. And, being an intimate, small inn, the best part of all was that she could spend time doing what got her into the hospitality field to begin with - having the opportunity every day to meet new and interesting people. "I love connecting with the guests most of all," Cindy says with true passion. "I want to hear their stories and really get to know them. Personal attention and one-on-one interactions with our guests are what we truly value here at Adair. In our otherwise increasingly impersonal world, we (and our amazing staff) want to ensure that everyone who visits us feels as well cared for as they would staying with close friends or family. Excellent in every category, wish we had more time to explore. Large site, over 200 Acres. All rooms are themed. Nice bar for cocktails and excellent dinner. Best Dinner on a two week trip at the restaurant. And of course, her husband Tom feels the same way. For after a long career in management in the optical industry (where he still works part time), he was ready for the exciting prospect of innkeeping at Adair. When the opportunity arose to step out of his comfort zone and take advantage of his deep background in customer service, he was in! Since one of his fortes is food, Tom immediately took on the challenge of being the primary breakfast "chef" on busy weekends. In no time he uncovered his hidden culinary talents in the kitchen when he perfected the inn's delicious signature pop-over recipe. He also enjoys being the restaurant's dinner host (while Cindy tends bar) and helping out whenever and wherever he is needed around the inn.